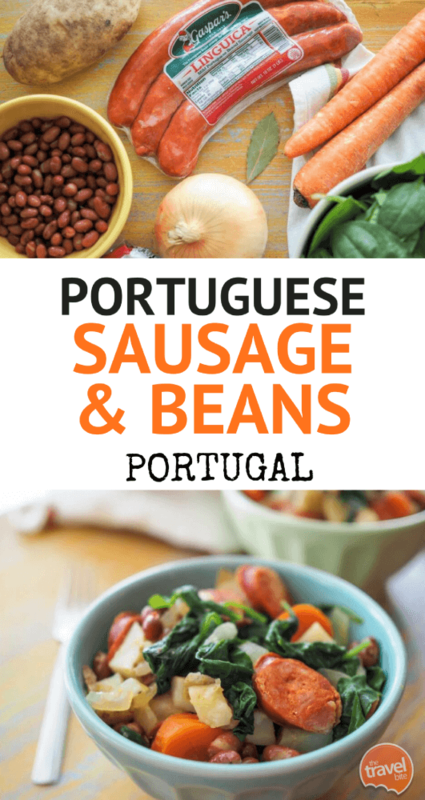 My friend Nelson recently sent me a copy of his Portuguese Travel Cookbook, and having skimmed through the stories and photos I couldn’t wait to try out this Portuguese sausage skillet dinner recipe! The book is much more than just recipes; it’s wonderful collection of stories about life and food in Portugal. From what makes Vinho Verde so special, to celebrating feast days in small villages, and one-on-one chats in the kitchen with farmers. 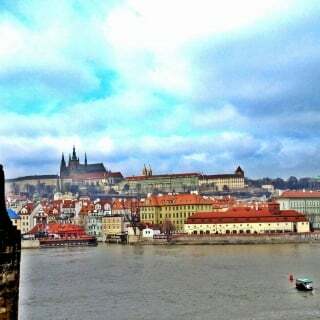 And when it comes to food, there’s a section about port tonics that remind me of when Pete and I traveled to Porto years ago, sipping bubbly port tonics while watching the sunset over Porto from the balcony at The Yeatman Hotel. 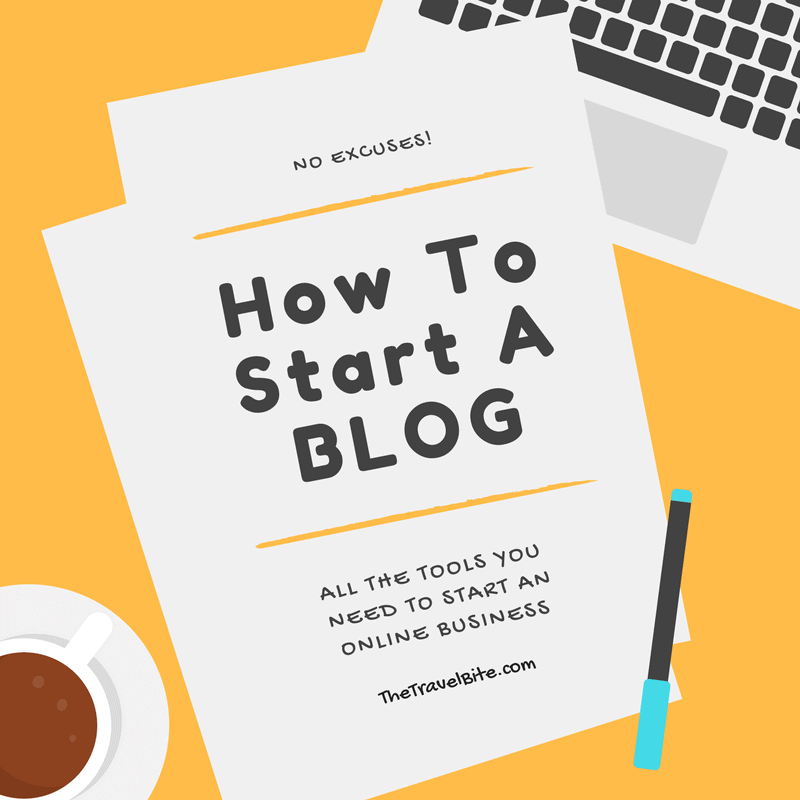 It’s the kind of cookbook you sit down with over a cup of coffee to savor the stories while bookmarking foods and recipes you’d like to try later. And this Portuguese sausage skillet recipe had my mouth watering from the moment I read about them on the page. 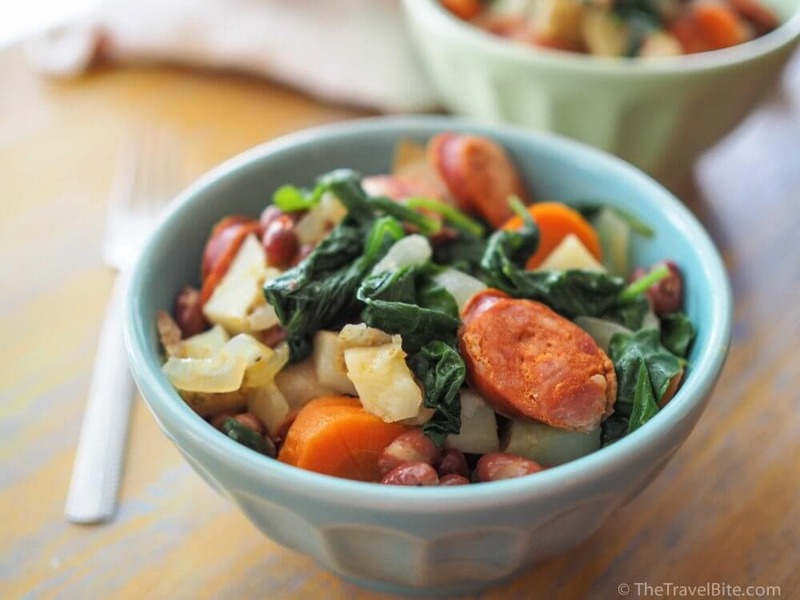 What I love about this meal is it’s rustic simplicity, combining basic whole ingredients that you can pick up at your local grocer or farmers market to make a pretty hearty one-dish dinner. I modified the recipe from how it’s listed in the book, for one, because I couldn’t find chorizo at my local grocer (can you believe it?) Chorizo is definitely something I’ve had here in Florida below, so I’ll have to keep looking. In the meantime, I found Linguiça, a mild Portuguese style sausage and it worked perfectly. Also, in the essence of saving time, I used canned red beans instead of dry red beans. So instead of adding the beans at the beginning of the cooking process, I added them later to basically just heat them with the spinach so they wouldn’t over cook. 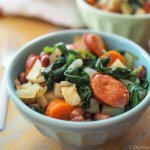 We’ve made this recipe a couple of times now at home, and Pete and I actually prefer the creamy texture of the canned red beans. 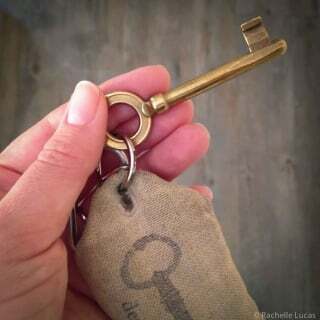 Want to see how to make it? Check out the video below! 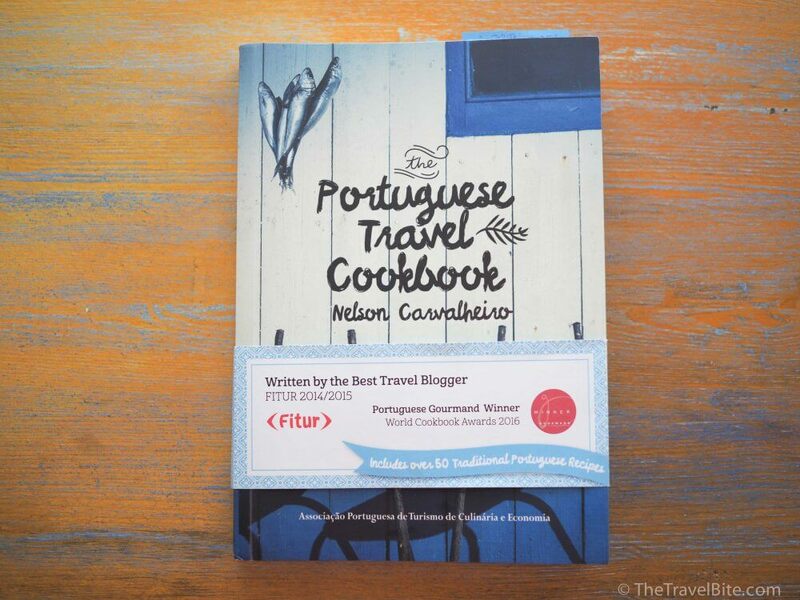 Give it a try at home and be sure to check out Nelson’s book, The Portuguese Travel Cookbook. 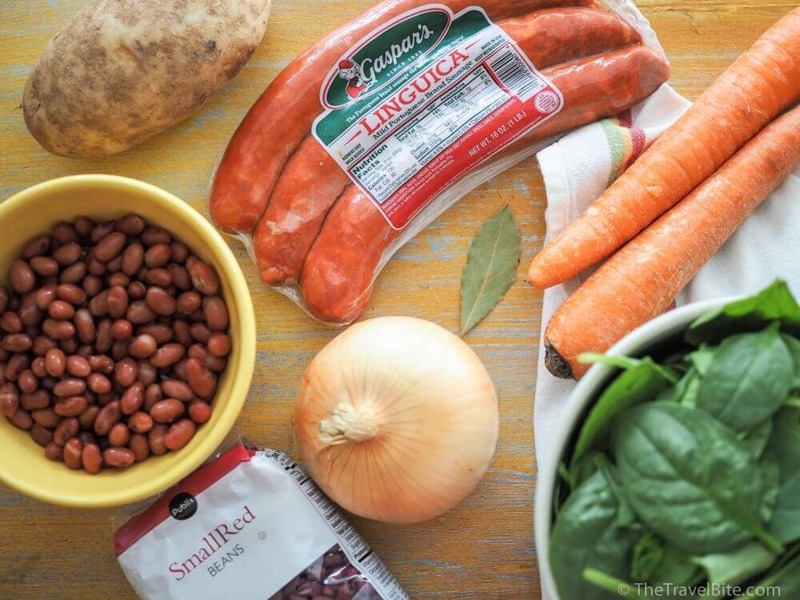 Also, if you like this recipe, you might also want to try our Italian Sausage Skillet for a different variation for your weeknight dinners. Wash and dry the produce, then dice the carrots and onion. Slice the sausage into 1/2 inch thick pieces. Heat the olive oil in a large sauté pan, then add the onion and garlic to soften. Next, add the sausage and cook for 2-3 minutes until starting to brown on the edges. Add the carrots, potato, and bay leaf. Season with salt and pepper and cook 1-2 minutes. Pour the water over the sausage and vegetables, then cover for 7-10 minutes until the potato and carrot begin to soften. Add the red beans and spinach and cover for another 2-3 minutes until the spinach has wilted.